or the city of joy is the capital of West Bengal and the most charming place which is loved by everyone in the country. Real estate in Kolkata is truly an end user driven market. In spite of an economic slowdown or sluggishly moving real estate sector, the end users in the city are on an aggressive quest to look for their perfect home. It has a multitude of housing options available varying from affordable flats to palatial villas. Property rates in Kolkata are comparatively much lower which is complimented by ample availability of land parcels, infrastructural growth and development initiatives taken by the government and all these factors together make it a hot investment destination. The residential properties in Kolkata have a lot of growth potential as the rates are substantially lower and promise huge returns in future. Many top class real estate developers like Shapoorji Pallonji and Tata Housing have announced their upcoming projects in Kolkata as the place is a good investment option both for affordable and luxury housing. They are ready to invest in land parcels or build homes in areas even beyond the boundaries of the city. It is the only metro city which has the cheapest and easy availability of transport facilities from any area within the city to its suburbs. This excellent transportation and communication network has resulted in an improved infrastructural development and economic growth paving the way for good real estate development for all classes of people. Many good residential options have mushroomed in the outskirts or in the areas which are no way close to the city center. Localities like Baruipur (South), Chandpur Champahati (extreme East), BT Road (North) and Howrah (West) due to their affordable property prices and flawless commuting network have seen a lot of demand for flats in Kolkata. This region has a horde of residential options available in different locations. Apart from residential complexes, there are many standalone residential buildings also available here. The main areas in North Kolkata are Sovabazar, Shyambazar, Sealdah, Belgachiya, C R Avenue, Khanna, Moulali, Kankurgachi, Phoolbagan, etc. Demand in these areas is quite high as compared to their supply. Communication network is also good. Other localities like Teghoria, Lake Town, Nager Bazar, Kaikhali, Dum Dum, Baguiati, also have a high demand with several residential options available by some good real estate developers. It is a much preferred region for property investment as the demand in this area is always high. Localities namely Dhakuria, Ballygunge, Prince Anwar Shah Road, Rashbehari, etc. are quite expensive areas with a price range of Rs. 7,000/- to 13,000 per sq. ft. Other localities preferred are Jadavpur, Kasba and Santoshpur with a price range of Rs. 4,600/- to 5,200/- per sq. ft. There is another newly developed area popularly known as East Kolkata Township which has localities like Anandapur, Mukundapur and Kalikapur. This area is well linked to E M Bypass and enjoys good communication network. Areas like Dunlop, Bonhooghly, Sodepur and Kamarhati are well connected to the B T Road as well as to the metro rail network. These areas are easily accessible via the railways and have several civic utilities like good schools coming up here. Property investment here is very beneficial and the price varies from Rs. 3,600/- to 4,500/- per sq. ft.
New Town and Rajarhat are the satellite cities of Kolkata. These areas have several factors that go in their favor as good real estate destinations. New Town, developed by HIDCO, is a very well planned city that has a major locational advantage. Many top commercial and financial organizations are setting up their base in this area with many IT/ITES companies already present here. The area enjoys good connectivity to prime locales of the city via major arterial road and the Netaji Subhash Chandra International Airport also lies in close proximity. 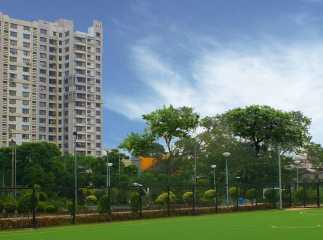 Rajarhat is a fully developed locality having a wide array of options in residential complexes. While New Town has a prominence of premium properties with exclusive price tag, Rajarhat is known for its affordable housing segment with reasonable property prices. However, the easy approachability to all the facilities and comforts of New Town complimented by ample availability of affordable properties makes Rajarhat a popular destination. This area has seen keen interest from many top notch national and international real estate developers like DLF, Tata Housing, Unitech, Shapoorji Pallonji and many more. Sonarpur and Garia are other attractive real estate destinations which enjoy good rail connectivity. Garia has shown a remarkable development in the last few years with several reputed schools, hospitals, shopping complexes coming up. The property prices in these areas vary from Rs. 2,600/- to 4,200/- per sq. ft. This is a newly developed and future living stretch of Kolkata which has several options in residential apartments and several projects under construction. Many township projects are also coming up in this locality as it enjoys good communication facilities and offers hassle-free commuting via Tollygunge metro. The price range varies from Rs. 2,700/- to 4,600/- per sq. ft. Thus, for all those who want to make a real estate investment and that too preferably in a metro, Kolkata is the right place to invest. The city due to its lower property prices, better infrastructural facilities and steady flow of opportunities is a much sought after investment option.